What do you see what you look at this sidewalk? Gum on a sidewalk - EW right? - but . 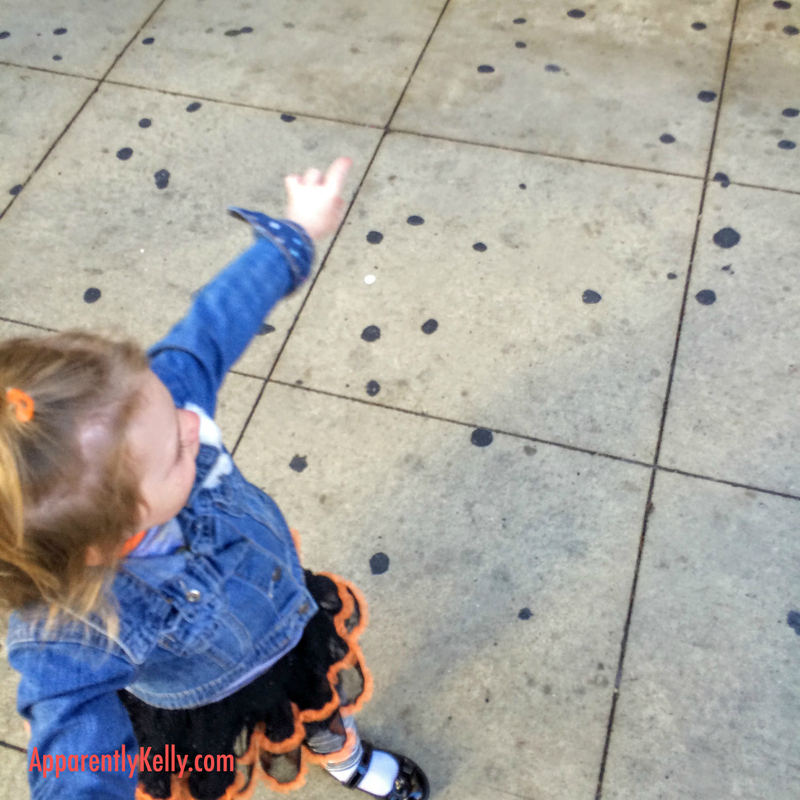 . . guess what my little dollbaby sees: A POLKA DOT SIDEWALK!!!! Yes, with that much delight .. . as if someone put these lovely polka dots there just for her pleasure. And she DOES take pleasure in it. .. so apparently, they were put there for her viewing pleasure. What if you see this from a car window on South MLK Dr. in Chicago? What do you think about them? Anything? Do you even really notice them or are you on your phone or just not really looking? Do you notice that some are in better shape than others, some are made into apartments. . . do you wonder who lives there? Miss Thing sees. . . . CASTLES!!! There are SO MANY CASTLES. . . and LOOK . . .that one is RED! I love the way that she sees the world. I want to be more like her when I grow up. . . so I'm trying. I'm trying to see things with fresh eyes - to remember the beauty in little things - check her out LITERALLY stopping to smell the flowers! I'm trying to see things and people DIFFERENTLY! Apparently, we CAN choose to see things with new eyes; we can choose to pay attention! Like so much in life, it's about perspective. Has anyone pointed anything out to you that your perspective - even briefly? What could you look at differently that might brighten your day or someone else's? ← Top 10 Reasons Zootopia is an AWESOME Movie!